The dictionary definition of "pilgrim" is a person who journeys, especially a long distance, to some sacred place as an act of religious devotion. I wasn't originally planning to participate in The Sketchbook Challenge which you can read about here. 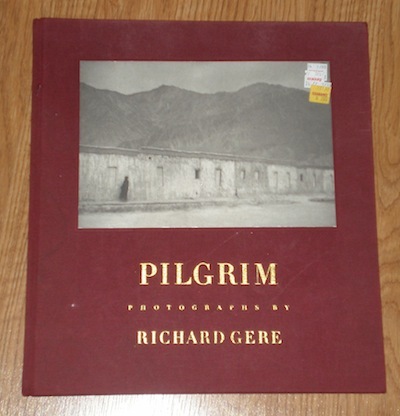 But while browsing the bargain section at Half Price Books yesterday, I came across this prize--a giant volume of photographs taken by actor Richard Gere during his travels throughout India, Nepal, and Tibet. 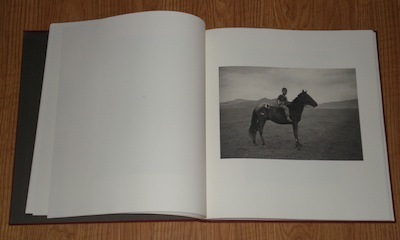 The book is huge--a whopping 12 x 13 inches--with a cloth cover and wonderful, thick, creamy paper inside. 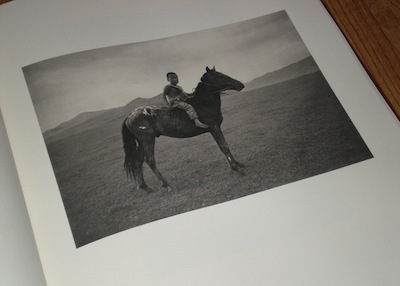 But what I really love about it is that, with the exception of a few pages in the front and back, there is virtually no text, only pictures. One photo per page and glorious amounts of blank paper. The minute I saw it I thought it would make a great journal. That's when I decided I would participate in The Sketchbook Challenge after all. 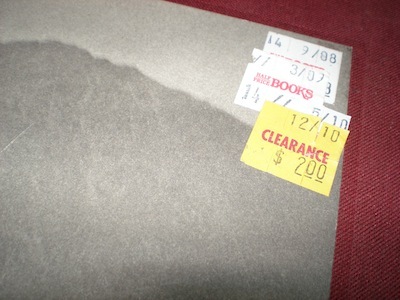 $2.00. Seriously??? This volume has been hanging around the bookstore since 2008 just waiting for someone to take it home and love it. I guess that person is me. 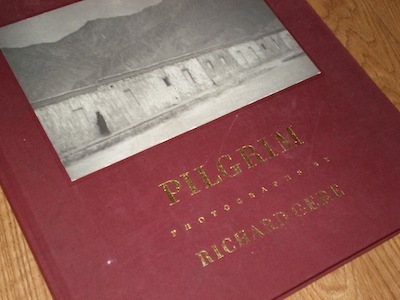 I will become a pilgrim and The Sketchbook Challenge will be my long journey to a sacred place as an act of devotion. It's all very fitting, don't you think? I have no idea what I will create on these pages, but I've done the math and filling 2.75 pages per week will lead to completely filling the book by the end of 2011. I'm not planning to keep myself on that deadline. Rather, I'm using that as my guide, or perhaps my goal. 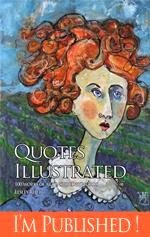 The artists involved in The Sketchbook Challenge will provide a monthly theme to those who want to participate, and the theme for January is "Highly Prized." I need to go off and think about this. I hope you will join me on my pilgrimage and consider making one of your own by joining in on this challenge. There's no cost to participate and the commitment is as much or little as you care to make. A number of artists will be sharing their sketchbooks on the official blog, and you can link in or upload your photos to a dedicated Flickr site. Wow, 2 bucks, that's awesome! It sounds like a very interesting, potentially fulfilling project, I look forward to watching your journey. pilgrim. I came to your blog via artsyville and just have to say what a neat project you have started! I look forward to seeing how it progresses!